What is DAB (digital audio broadcasting)? Do I need digital radio in my car? DAB is a form of radio broadcasting whereby analogue audio is translated into a digital signal. Typically gives better quality sound than FM/AM and is not region dependent. How does DAB digital radio work? DAB car radios pick up stations broadcasting digitally over the airwaves. DAB signals contain more information, so you get a richer, cleaner digital sound quality and often there'll be a track title or program name on the radio’s digital display too. Avid radio listeners will enjoy the extra station choice and better sound quality. Listeners of popular AM programmes with inferior sound quality should certainly consider investing if their favourite station is broadcast on DAB as well as medium wave. 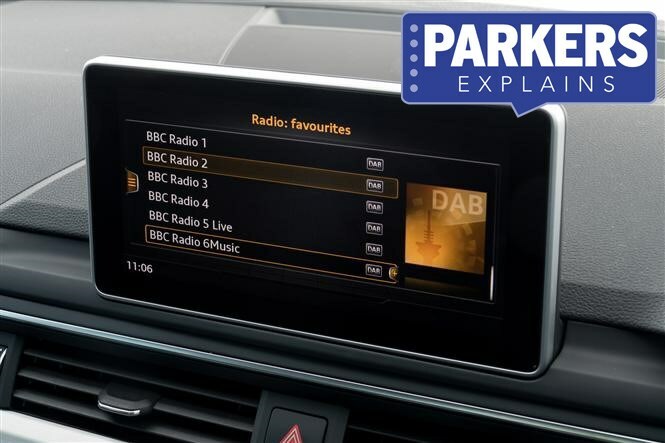 Almost every car on the market is available, or comes standard, with DAB radio nowadays. Volkswagen was the first brand to fit DAB as standard across its range in 2014.